18' Wide x 15' Long x 14' High. Maximum age 12. A fantastic combination unit that has excitement for everyone under 165 pounds! Enter the bounce and find a basketball net inside! Climb to the top of the slide and down you go! This unit weighs 325 pounds and measures 18'w x 15'l x 14'h. 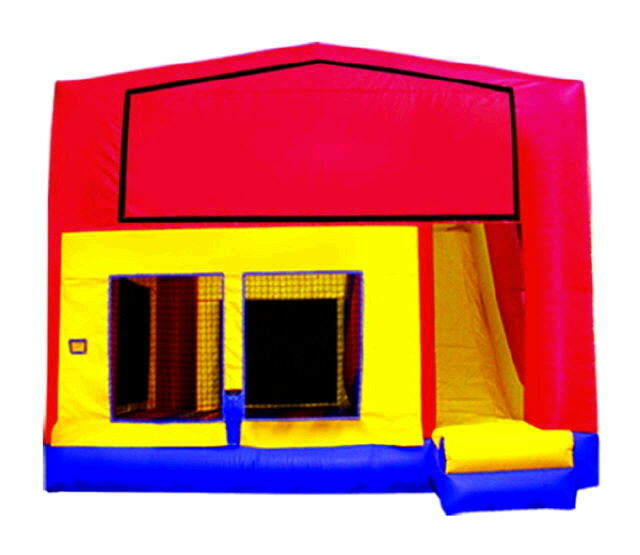 * Please call us for any questions on our bounce slide combo rentals in Pipersville PA, Hatfield PA, and Bucks & Montgomery Counties in Pennsylvania.